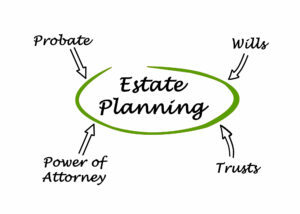 Estate planning is the process of planning for your death or an event that causes your incapacity. 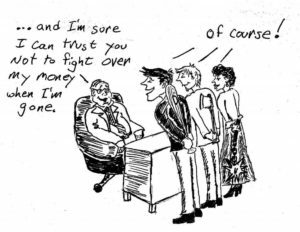 Estate planning allows you identify your beneficiaries and control who is in charge of your estate. Recently, music legend Aretha Franklin died without a will. While your estate may not be as large as Ms. Franklin’s estate, everyone has an estate. Your estate is comprised of everything you own— your car, home, other real estate, checking and savings accounts, investments, life insurance, furniture, personal possessions. Assess your current beneficiary designations on assets that pass outside of your estate as a result of your death: life insurance policies, retirement accounts, etc. Plan for a future incapacity, which would enable an Agent to manage your financial affairs. Include instructions and nominate an individual to make health care decisions for you if you become disabled before you die. Regardless of your financial wealth, everyone needs to have a (1) last will and testament, (2) durable power of attorney, and (3) advance directive for health care or living will. Last Will and Testament: This legal document appoints an individual to handle your affairs upon your death and names beneficiaries who receive your assets. Durable Power of Attorney: This essential legal document appoints an individual to manage your financial affairs. You can make the document effective immediately or upon a subsequent incapacity. This document allows your agent to write checks, tax returns, continue your gifting strategies, etc. A valid durable power of attorney is just as important as a last will and testament and aids in limiting court costs and attorney fees of a guardianship proceeding. Advance Health Care Directive: This document nominates and appoints an individual to make health care decisions for you, in the event that you are unable to make these decisions yourself. Additionally, it is important to review your current estate planning documents or beneficiary designations on a yearly basis or upon the occurrence of a major-life event: birth, death, marriage, and divorce. If you fail to create a plan, the State and Courts will make these decisions for you. The best time to plan your estate is now. No one likes to think about their own death or one’s own inability to make decisions for themselves. Stop procrastinating, put a plan in place now and recognize that your documents can change or evolve as your life changes. If you would like to get this essential process started, please feel free to contact our firm.